Politicians, pundits, and scholars have wrestled over a central question throughout American political and constitutional history: What role should the government have in the lives of ordinary citizens? For Jeffersonian Conservatives, such as Grover Cleveland, the government has no business involving itself in areas outside its limited, constitutional role, and should never take a position as a “custodian;” the people should be free to pursue their own dreams without government interference, to rise as high and as far as their God-given talent, abilities, and determination will carry them. Success or failure depends on the individual. America is at a crossroads. The 2012 election, as well as those in the very near future, could very well determine what kind of nation we will leave for posterity. Yet, while on our current political trajectory, America is in danger of losing the constitutional republic created by the Founding Fathers, and once lost, it might be gone forever. My new book, The Last Jeffersonian: Grover Cleveland and the Path to Restoring the Republic, examines the true nature of conservative thought, the present direction of the nation, and the changes we must make in order to preserve our great political heritage. 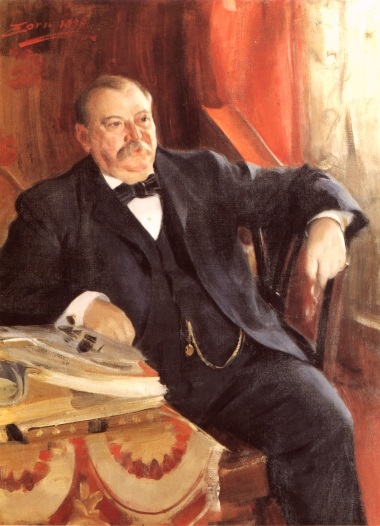 Exhibit A in achieving these three goals is a study of the public career of Grover Cleveland, who served as the 22nd and 24th President of the United States, from 1885-1889 and from 1893-1897.